Los Angeles, CA – The precious metals markets took a corrective pull-back on Monday on investor profit taking and carry over selling from late last week. 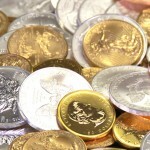 Gold traded approximately $20.00 lower around $1720 an ounce while silver traded down $0.24 to $33.50 an ounce Monday morning. As gold made the largest rally in 7 weeks, a predictable profit taking was made on the yellow metals’ solid gains. Monday marked an investor “risk off” trading day as many waited for fresh news out of the European sovereign debt crisis. Currently, the Greek government is in debt talks with the EU and the IMF for additional debt relief funding to aid in the March 20th deadline to pay a Euro bond debt valued at 19 billion US Dollars. The continued instability of the debt crisis in Europe has given many investors continued long-term interests in safe-haven investing, which is commonly found in precious metals such as Gold and Silver. In addition, the US Dollar index is higher versus the Euro currency, which is suffering from the rekindled sovereign debt jitters. Crude oil traded lower on Monday, and this along with a stronger US Dollar index are two important outside market factors that affect the price of precious metals. As investors wait to hear more of the Greek debt details, no significant chart damage has occurred with gold and silver, both well above their psychological support level above $1700 an ounce and $31 an ounce respectively. 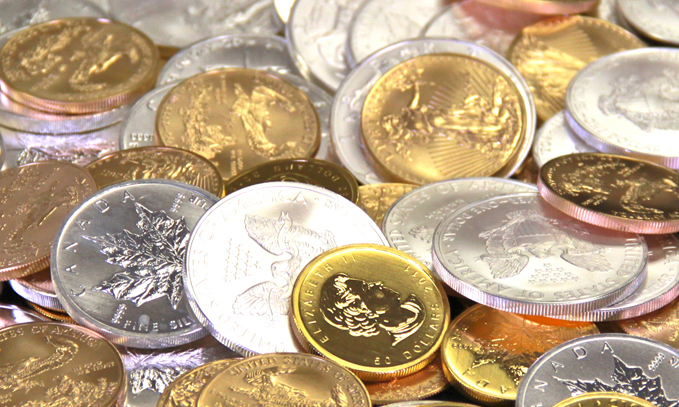 Take advantage of the pullback in prices of gold and silver; contact American Bullion to learn on how you can own physical gold for home delivery or to convert some of your paper-backed assets in your retirement account into a gold IRA or silver IRA. Call 800-326-9598 or email us at info@americanbullion.com for more information.